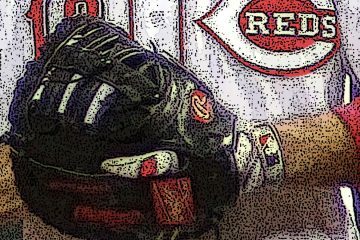 The Short Version: Behind Anthony DeSclafani and Phillip Ervin, the Reds roll to a big victory in game one of today’s day-night doubleheader. –Outstanding start by Anthony DeSclafani: seven innings, one run allowed on six hits and one walk. –Big day by Phillip Ervin at the plate: 2 for 2 with two walks, a single, and his first home-run of the season, a three-run bomb in the second. Ervin drove in four runs on the day. –Jose Peraza emerged from his slump with a three-hit day, including a double and two runs scored. –Joey Votto had two hits, including a double. Curt Casali had a couple of hits. Brandon Dixon hit a third-inning home run, his second of the year, and drove in two. Eugenio Suarez singled, walked, and drove in his 84th run of the season. 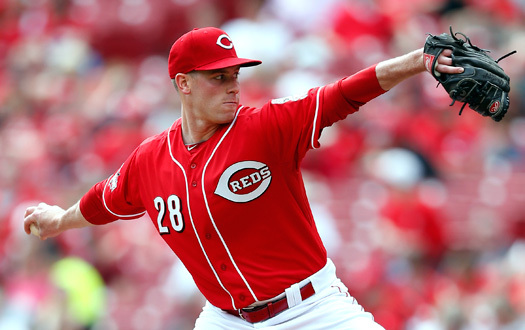 –David Hernandez and Michael Lorenzen pitched a shutout inning each to finish off the game. –Move along, nothing to see here. –I’ve been out of the country for the last two weeks. I presume the Reds have been playing this well the entire time I’ve been away? –Kudos to the Reds front office for picking up Curt Casali earlier this season. Casali has been an outstanding backup catcher; his current slash line is .300/.400/.483. I’ll take that. –Love seeing DeSclafani pitching like he did today. That guy still has all kinds of talent. 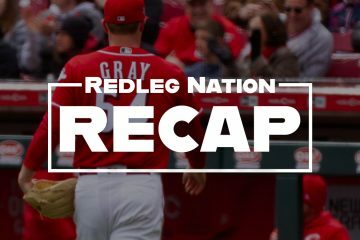 –Reds got on the board with one run in the top of the first, and it could have been much more. Peraza led off with a single, but was picked off (TOOTBLAN). Ervin and Votto followed with singles off DC starter Gio Gonzalez, then Suarez walked to load the bases. Dixon grounded into a fielder’s choice that scored a run, but Cincinnati was unable to get anyone else across. –That changed in the second inning. DeSclafani collected a one-out single and advanced to second one out later when Peraza singled. Ervin then crushed a Gonzalez pitch to left for a three-run homer, and a 4-0 Reds lead. –The Nats got one back in the bottom half, but Dixon extended the lead to 5-1 with a solo shot in the top of the third. Cincinnati made it 6-1 an inning later when Peraza doubled and was eventually brought around on a Suarez single. Cincinnati got their final run in the top of the sixth on some Billy Ball. Billy Hamilton scratched out an infield single, stole second, advanced to third on a fly out to center, and scored on an Ervin sac fly to right field. Reds 7, Nats 1. That’s the way it would end. –Matt Harvey (who evidently wasn’t trade while I was away) will be starting tonight’s game 2. Lol Chad. Disco with the win and loss. Certainly an outstanding opportunity this evening for Harvey to invoke some “buyers remorse” by teams who wouldn’t ante up a quality prospect for his services. Nats need this game after the 7-1 loss. You are so right. It is a shame Harvey won’t get to pitch against the Mets in the next series. But as it lays out after Harvey gets the Nats, he is slated to pitch against Arizona next, then Cleveland, then Milwaukee, and then the Cubs. All were looking for a starter. Jeez, if Peraza could just play CF! I made this point in the thread. Just because Tom Brennan says that Baraz it was picked off doesnÃ¢â‚¬â„¢t mean he was picked off. He was caught stealing. He misread the pitcher and hung himself out to dry. It was poor baserunning, so yes it was a TOOTBLAN. In fact, I think Ã¢â‚¬Å“picked offÃ¢â‚¬Â and Ã¢â‚¬Å“TOOTBLANÃ¢â‚¬Â are mutually exclusive. Anything Thom says should never be trusted, including his description of Peraza’s PO and CS in the 1st inning, because he changed his mind in the middle of his description from PO to not PO. In fact, a runner can be both PO and CS on the same play and was in this situation. If a runner is out going back to the base, he is PO. If a runner is caught off the base on a PO throw, he is also PO if an out is recorded on the runner on the play. If the runner is thrown out at the next base, it’s a CS, no matter where the throw comes from. The process is all supposed to be a big secret but there always seem to be a lot of leaks. Anybody seen anything about it? Nothing. Usually that will leak out on MLBTradeRumors or from one of the national baseball writers. Uh, yeah. Tucker Barnhart will sheepishly take that line too. Does anyone have the batted ball profile for Casali handy? Just curious to see whether this has just been a fortuitous streak or whether there’s anything behind it?